I just LOVE these adorable witch legs + shoes cupcake toppers I shared a couple of years ago. 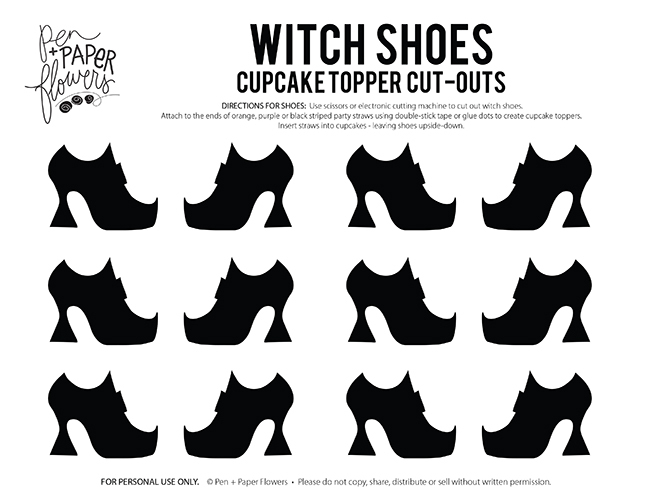 Looking back at the Easy No-Bake Hi Hat Cupcakes post it occurred to me I never provided you with a template for the witch shoes so that you could easily recreate these yourself. Well I just HAD to fix that dilemma for you and I'm posting the FREE Witch Shoes printable cut-outs today. 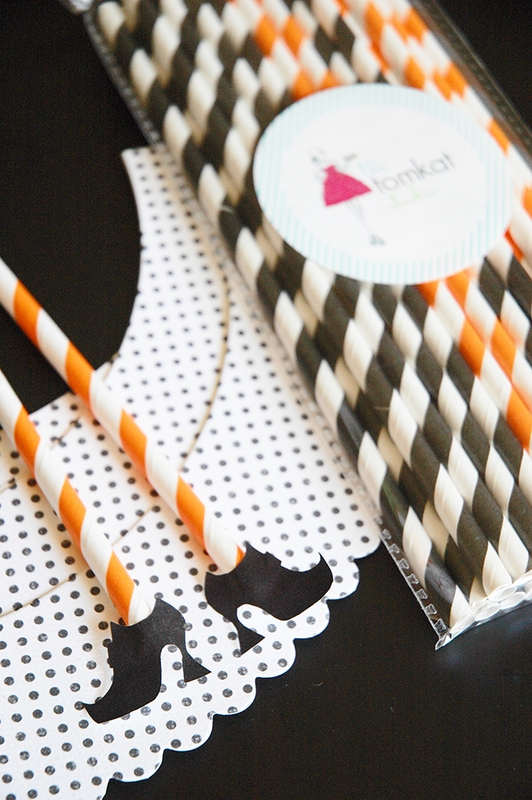 Cut them out with scissors or use your handy dandy electronic cutting machine!! Want a mini witch broom to go with your witch shoes? 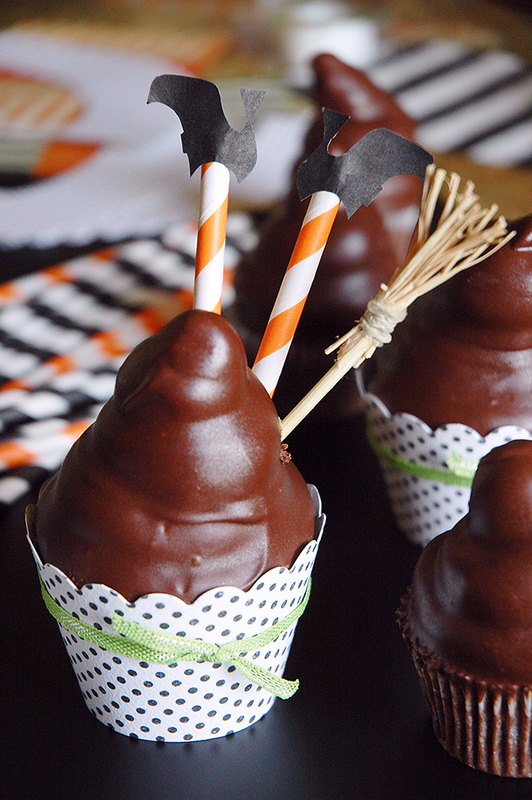 Here's a DIY for witch broom cupcake toppers I've shared previously. And here's the No-Bake Hi-Hat Cupcakes tutorial too...just in case. I hope you love sprucing up your Halloween cupcakes and treats using these cute witch shoes!! If you use the free printable and make some of your own I'd LOVE to see them!! Tag me on Instagram using @pnpflowers or you can find me on Facebook and Twitter too! I've got lots of ideas on my SPOOKY Pinterest Board, which is actually anything but spooky. It's filled with ideas for Halloween crafts, costumes, treats, and DIY's....including this hilarious "Witch Better Have My Candy" t-shirt, these cool Spiderweb Cupcakes, this adorable Cereal Bowl Costume, my Mini Monster Milkshakes and more!! See you soon friends and as always...thanks for being here!! Still no progress on cleaning up my studio. It MIGHT happen today - but no promises.